Thanks to the advent of smartphones and tablet devices, traders do not have to stay glued to their computers and seats all day long. Back in the day, it was always a torment knowing that a news trade was about to take place, but one would either be stuck in traffic or engaged in some other task and it would be impossible to monitor the news or the charts beforehand, let along being able to take the trade. But along came the smartphones and tablets in 2007 and everything changed. Now you can be in the loo, on the beach, or even in an Uber ride and have the ability to check on your trade positions or monitor other goings-on in the market, straight from your hand-held device. This has brought a lot of convenience into trading activities. 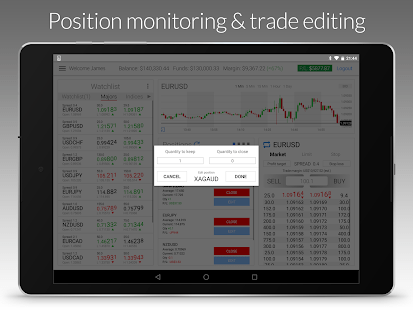 But what would be considered as the best mobile trading platforms for forex trading? If you are a retail trader, you would probably consider the MT4 and MT5 as being almost top of the list. But mobile trading is not for retail traders alone. Those who trade at prop firms and even institutional traders can also check up on some trading related stuff on their mobile devices as well. So you also have platforms that cater to this end of the market. So here is a list of what we consider to be the best mobile trading platforms available today for forex trading. The MetaTrader mobile app is a generic mobile application, which is used to serve the many forex brokers that offer it. So you actually do not get a branded mobile trading platform. This has its advantages and disadvantages. For instance, the mobile apps are lighter versions of the desktop and web-based versions, so it is easier to access charts and basic analysis tools on the mobile app. But the disadvantage is that a lot of the functionality required for in-depth analysis has been sacrificed. So when compared with mobile apps such as the LMAX Global mobile app (which we shall discuss later in this article), the MT4/MT5 mobile apps are a bit deficient in this regard. Also, it is impossible to trade the news effectively as there is no way you can scroll from the news bar to the charts to react quickly enough before the initial news spikes. Indicators are classified according to how they are listed on the desktop versions (trend, momentum, volume and Bill Williams). A circular disc which contains all the time frames. You can choose one by simply clicking on the appropriate time frame. You can check the market news and scroll through news headlines. The touch screen function of the smartphones and tablet devices is also used to apply, trace and adjust the various chart tools. It must be said that the latest versions of the MT4/MT5 mobile apps are a vast improvement over the earlier versions, and trading is a lot more seamless now than it used to be in the early days. LMAX is a forex brokerage that provides ECN trading services to its clients. Its product suite is tailored more to institutional clients, but it is also open to traders who have the financial muscle to trade forex using ECN-style conditions. LMAX VWAP app, which streams market data from the liquidity pools located in New York, London and Tokyo. Traders can also place trades with the 1-click trading facility, achieve partial closure of trade positions and up to 5 market depth levels. Among the mobile apps provided by LMAX is the VWAP app, which provides market depth of up to 20 levels as well as market data for FX assets, indices and precious metals. You can also transit effortlessly between trading venues to seek out the best pricing. This app provides the same functionality you would get from using the desktop versions of the LMAX trading software. Perhaps the only drawback of using this mobile app is that it uses live data feeds, which can lead to huge data consumption and increased costs of internet data for the user. 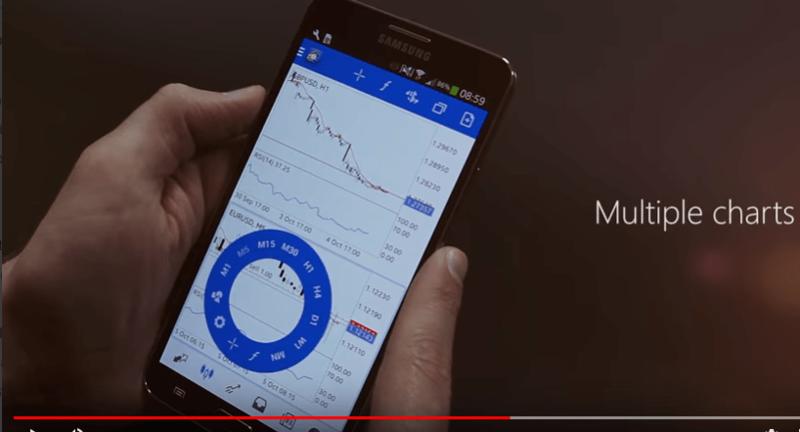 While this is not a trading platform per se, the TradingView mobile app can be used adjunctively in trading as it comes with many features that can be used during the core trading process. TradingView allows traders and investors to share trading ideas, setup price alerts once key levels have been reached on charts, and also have access to an advanced charting application which contains various tools and indicators. You can create and customize your own watchlists on TradingView, allowing you to follow just those assets that you are interested in trading. The charting package provided by TradingView is arguably one of the in the retail forex industry, and on the mobile platform, they are just as visually appealing and as powerful as the web-based package. The benefit of using TradingView charts is that it also features market data for other CFD assets found on retail forex platforms, and not just FX assets alone. These are some of the mobile applications for trading that beginners must get accustomed to, which will enable them to trade on the go effectively.